The only reports came on 27th. 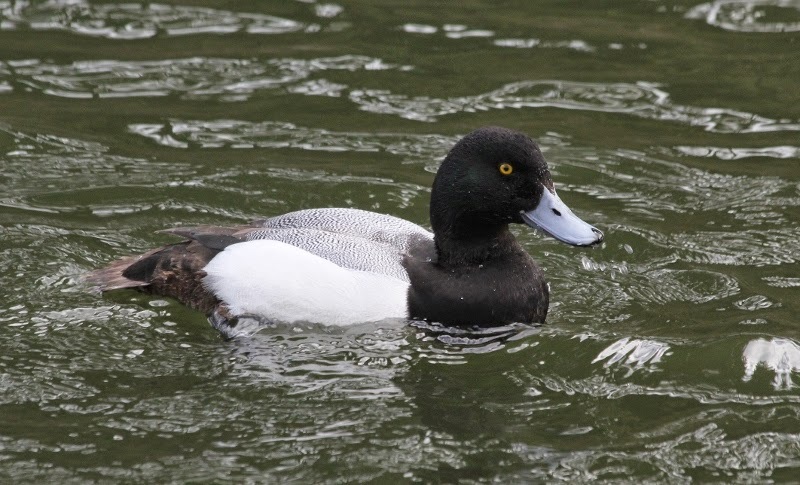 The drake Scaup remained on Peasholm Park where it showed some signs of improvement, gingerly flapping regularly but diving and swimming with ease. Elsewhere 5 Egyptian Geese, 2 Pink-footed Geese and a Goldeneye were the highlights on Wykeham South Lake, 14 Teal and 15 Wigeon were on Johnson's Marsh and a single Chiffchaff was at the Mere. On the coast 2 Chiffchaff and 1 Redwing were at Holbeck where singles of Meadow Pipit and Alba flew north and 50 Fieldfare were near Snainton. An interesting record was of a Terrapin sp at the Mere.